Sergio Aguero scored twice as Manchester City came from behind to beat Burnley 2-1 at Turf Moor in the Premier League. The Clarets, for whom 37-year-old Paul Robinson started in goal in place of the injured Tom Heaton, took the lead in the 14th minute thanks to a brilliant volley from Dean Marney. But Aguero replied for City before the break and, after being denied by a superb save from Robinson, netted a scrappy winner on the hour mark after the hosts spurned several chances to clear their lines. The win temporarily moved City top of the table, but they slipped down to third after Liverpool beat Sunderland and Chelsea defeated Tottenham. City manager Pep Guardiola said beforehand that the match was "key", and the visitors managed to come away with all three points despite looking unconvincing at the back throughout. Perhaps some of that was due to the absence of centre-backs Vincent Kompany and John Stones, the former out injured and the latter rested. But they did have Aguero fit to start after an injury doubt, with Kevin de Bruyne and David Silva on the bench. Heaton had not missed a league game for Burnley since signing in 2013, but he was ruled out with a calf injury, so former England international Robinson made his debut and first Premier League appearance since 2012. Possibly feeling the effects of playing away in the Champions League on Wednesday, City started slowly. Sergio Aguero has now scored against 29 of the 30 different teams that he's faced in the Premier League, only failing to score against Bolton. Aside from an early Aguero shot that Robinson got down sharply to save, it was the Clarets who played with more purpose. They had strong penalty appeals waved away when Nicolas Otamendi barged into Jeff Hendrick from behind, but took the lead after 14 minutes when Marney brilliantly volleyed home from outside the box. 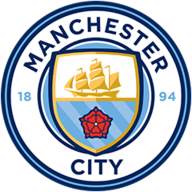 City threatened a response as Nolito forced Robinson into a low save, Aguero shot off target and Yaya Toure then fired against the outside of the post. Eventually they equalised as a corner wasn't cleared and Aguero reacted quickest to slide in at the back post. Only a superb one-handed stop from Robinson minutes later prevented Aguero scoring a second. Burnley lost Marney and Johann Gudmonsson to injury before the break and they were on the back foot for the majority of the second half. City cranked up the pressure and eventually broke through on the hour mark, albeit in slightly fortuitous circumstances. Burnley had several chances to clear their lines, with Ben Mee even taking out Stephen Ward as he tried to clear the ball away, before Fernandinho squared for Aguero to turn in off his knee. City continued to press and control the game but their inability to finish it off could have cost them as Burnley posed problems with balls into the box. Michael Keane saw a goalbound header blocked before George Boyd and Hendrick were closed down quickly as they went to shoot. The Clarets had two further chances in injury-time, Keane's header hitting Mee's back after Claudio Bravo failed to claim a cross and Ashley Barnes then hitting an overhead kick at the keeper, but City held out for victory. 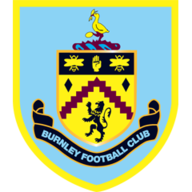 Burnley: Robinson (8), Lowton (6), Keane (7), Mee (6), Ward (6), Gudmundsson (5), Marney (7), Defour (5), Boyd (6), Hendrick (5), Vokes (6). Subs: Barnes (5), Tarkowski (6), Arfield (5). Man City: Bravo (6), Sagna (6), Otamendi (6), Kolarov (6), Clichy (6), Fernandinho (7), Fernando (7), Sterling (6), Toure (5), Nolito (5), Aguero (8). Subs: Jesus Navas (5), De Bruyne (5), Sane (5). Man of the match: Sergio Aguero.